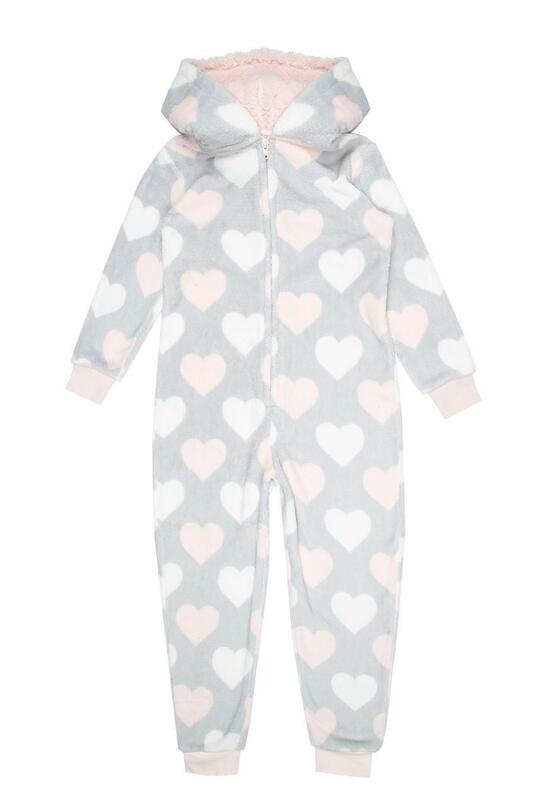 This fluffy onesie will make a cosy addition to their loungewear collection. In a super soft grey heart fabric with long sleeves, a zip front and hood, it's perfect for snuggling up on colder evenings! Had to return item to a store as it was flawed. I'm not sure how it could've been missed as it was very obvious, but it was also covered in black fluff and loose threads; it was a terrible mess!